Thank you Sid for writing this beautiful post for my blog. You can check his blog on Dad Knows . You will realise when you go through his blog why I think him more as a dad than anything else. He is a proud father of two gorgeous gals, Audrey and Anna. Thank you to the lovely M for inviting me to write a guest blog post. Hers is such a beautiful and smart blog, and while I was delighted to have the chance to be a part of it I knew I’d have to create something better than my usual to be worthy of inclusion here. 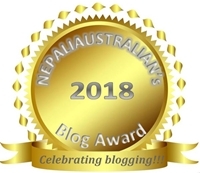 So what could I write about that would be of interest to nepaliaustralian’s readers? I haven’t traveled the world like M has, with gorgeous photos and great stories to share. My knowledge of Nepali culture is limited, and residing in the Great Lakes region of the United States, I’m about as far from Nepal and Australia as one can get without involving NASA or ESA. Further, I have no experience getting accustomed to living in a foreign land or trying to mesh two cultures or backgrounds together. I started to think that I really was not a wise choice to help fill up this space, and that maybe M wasn’t as smart as I’d been giving her credit for. However, when I asked what she’d like me to write about, M replied that (because of my blog) more than anything she thinks of me as a dad, and that it would be fine if I wanted to share something about my daughters. Ah! I was then tempted to write that what I want for my daughters as they grow up is no different from what parents in Australia or Nepal – or Colombia, or Ghana, or Estonia, or anywhere else – want for their children. Can I really say that, though? Do I really know that for sure? Definitely not. I can only assume, and making assumptions about people in different parts of the world can be terribly closed-minded and has all kinds of potential to be wrong. So then, what? Well, as bloggers I think we’re all encouraged to write about what we know, and what I know about is my daughters and what my hopes for them are. So that’s what I’ll write about here. What I want you readers to do is consider your children – or, if you’re not a parent, the children of the world – and what your hopes for them are. If I’m right, M has readers from all over the world, and if a few of you respond in the comments below, we might have a fascinating glimpse into all the different hopes and priorities we humans have for our children. More importantly, I’m hoping we’ll find out that, regardless of where we live, our wishes for our children aren’t really all that different. First of all, since the moment they were born (and before), I’ve wanted to protect them and keep them safe. In twelve years, that hasn’t changed one bit. I may be overprotective at times (it’s what dads do, no? ), and fully expect that as the girls become teenagers I’ll get even more protective. There are scary and dangerous situations and people in the world, and the more independent they get, the more our children need all the wisdom we can pass on to them. Audrey and Anna will always be my little girls, and I won’t ever stop wanting to keep them safe from harm. That harm will change form over time – from bullies in elementary school, to strong and overexcited boys in high school, to peers and adults who would take advantage of them at work or in myriad other situations. Eesh – just writing that makes me want all the more to hold them close. Safety and protection are not always within our control as parents – some other things, though, are. It’s been entirely up to my wife and me to provide a loving and happy home for our daughters – and I’m the first to admit that I’ve not always been great at this. 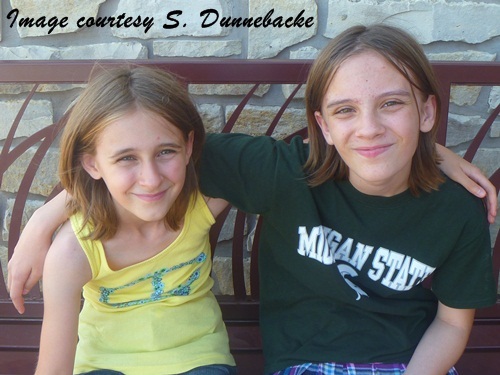 Loving my daughters is easy; giving them a fun, carefree, and happy home isn’t always so easy. I get tired. I get frustrated. I get grumpy. It’s maybe taken me twelve years, but I think I’m finally getting better at realizing that’s probably what they want more than anything. Speaking of what’s in our control, no matter how rotten their day at school may be, children should be able to come home and feel safe, secure, happy, and comfortable. Home should be a refuge for them – the place they can relax, be themselves, say what they want (well, within reason…), act goofy, and feel free to talk about their fears. I always want them to feel like they can come back home and feel at home. If they can return home and let their worries and fears just fade away, then my wife and I have done something right. I also want our girls to grow to be kind, respectful, compassionate, and intelligent ladies. I can only guess about the rest of the world, but where we live those qualities are scarce. They’re doing quite well as far as intelligence, and do okay with kindness, but, hoo boy, we’ve a long way to go to get them to be as respectful as we think they can be. I suppose this wish for my girls is just as much a wish for the rest of the world and anyone they come into contact with! Another thing we’re having trouble with is instilling in those girls the value of hard work. Oh, I’m sure they’ll get it someday, but I would really hate for them to become adults and still expect everything to just happen for them, or expect that things will always be easy. In both cases, they won’t. The sooner the girls learn that, the better. (Wish me luck, please!) I hope that they will never be daunted by the prospect of hard work, and that they’ll be willing to put in as much effort as they need to accomplish their goals. Something else the world is terribly lacking is respect and compassion for all the other living things that share the planet with us. I’ll be so, so proud of my daughters if they continue to be as concerned about the welfare of the planet and all its residents as they seem to be so far. Even at their young ages, the two of them seem to have an inherent concern for all animals – certainly more so than most adults in our society. My hope is that they never lose that. Finally, I’ll mention those things that are almost totally out of our control. 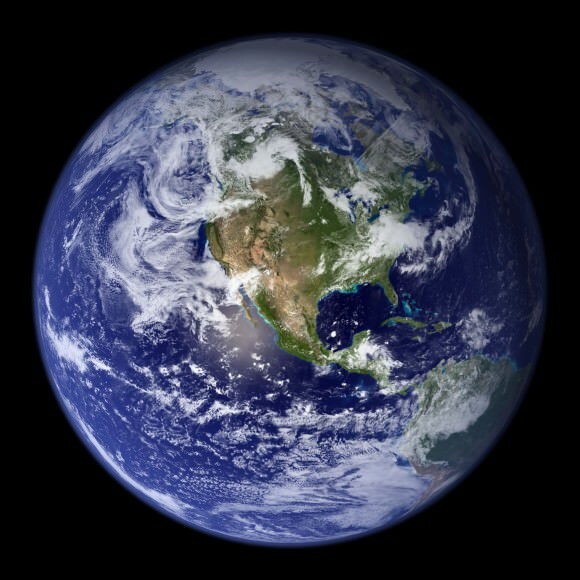 I have no delusions that any of this will happen anytime soon, but I still wish it for my children and for all children all over the planet: a world with no war, suffering, hunger, disease, or inequality. I want them to grow up in a world where humanity works together for the good of all, and where religion and culture and nationality and appearance and language and local customs are no more than points of interest that bring us all together. Will it happen? I have my doubts. Can it happen? Can that kind of world be embraced by everyone? I think it can happen, and I also know it can start with my Anna and Audrey as much as with anyone else. For sure I could go on for days about what I want for my children, but this will do. It’s up to you now. What do you wish for your children? What hopes do you have for them, and for all children? This entry was posted in Family, Guest posts and tagged children of the world, dad, daughters, father, guest post, hope for children, kids growing up fast. Bookmark the permalink. I am tear eyed. 🙂 But smiling as well. Simply a post that it should be from a proud parent. He really makes a great dad !!! Ah… I think if I start writing, the comment will be a post on itself. So, I’m just gonna say: Well said. I have the same wishes, Sid. Because you rightly state that an ideal world full peace and happiness isn’t always there, I hope my daughter will learn to deal with setbacks and problems gracefully and wisely. This is such a beautiful guest post. Thank you, Sid, for writing it and thank you for sharing his blog here. And I think you have just given me an idea about my “speech” at our son’s wedding next week. Perhaps, just perhaps, I’ll speak about my hopes for the newly married couple. So thank you! Good post, and I wish your daughters well. Mine are adults now, the days of childhood well past, but it is nice to read the hopes and aspirations of another. Thank you for the honor, M! I wouldn’t have written this but for your invitation. One world, one people, one heart, one love! This is such a lovely and honest post. What I hope for the children of next generation is to be kind, respectful and compassionate, as you mentioned. And I would also hope for them to accept people as they are and learn to live in a world without boundaries :). I hope this world be one big family with no racism, no war and no religious conflict. Just happy and nice people everywhere so our children can grow up without fear and hatred.